A year-old effort by current and former Detroiters to establish a hub for fashion design and manufacturing in Detroit is starting to show signs of progress. A local coalition of clothing makers that includes Carhartt Inc., Detroit Denim, Lazlo and Shinola is planning to start a pilot manufacturing plant in February that will contract with apparel companies on small clothing orders and serve as an ongoing apprenticeship training center. It’s among initiatives seeking to help make Detroit a fashion hub at the nexus of design and manufacturing. The nonprofit Industrial Sewing And Innovation Center has gained approval from the U.S. Department of Labor to operate an apprenticeship program for clothing production that will mix traditional sewing skills with the industry’s future use of robotic assembly, said Jen Guarino, vice president of manufacturing for Shinola. Tracy Reese, a native Detroiter whose internationally recognized clothing line is carried by Nordstrom, Bloomingdale’s and Neiman Marcus, plans to move her New York company’s design operation to Midtown, hoping to tap into a talent pool of designers coming out of the College for Creative Studies. Reese is on the board of ISAIC. 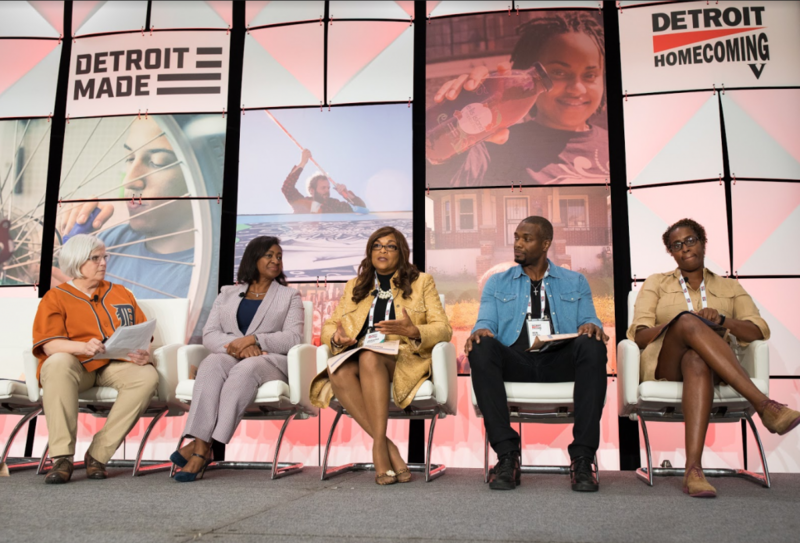 The local leaders of the group weren’t ready to announce the location of the manufacturing facility at Detroit Homecoming last week. But they say they have orders from clothing companies in place to start producing 3,000 units per month in February. At the same time, a former Detroiter and longtime fashion industry executive said he’s in talks with an international clothing brand to on-shore manufacturing from Asia to the Motor City.Jeffry Aronsson, a former CEO of Donna Karan International, has spent the past year leading an initiative for Mayor Mike Duggan called Project Treadwing that seeks to scale up Detroit’s fledgling fashion apparel industry. 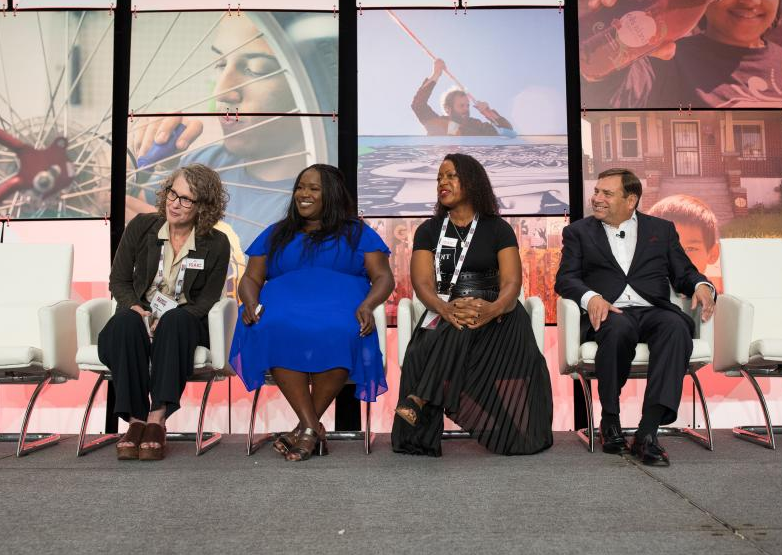 Aronsson first presented the idea at the 2017 Detroit Homecoming and gave an update at last week’s gathering of former Detroiters — an annual event produced by Crain’s Detroit Business. 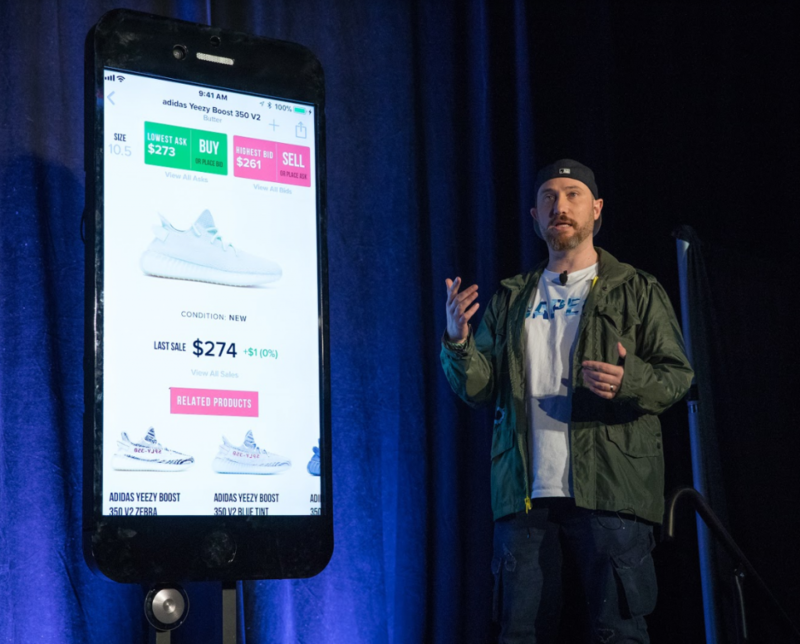 In early October, up to seven suppliers for the unnamed clothing brand will send representatives to Detroit for Aronsson and Duggan to make their pitch for establishing a manufacturing presence in the city, Aronsson said. 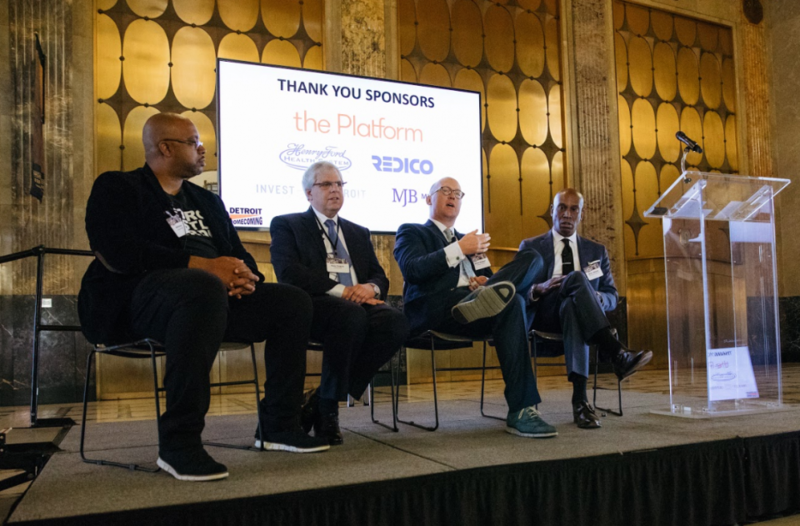 The tier-one and tier-two suppliers are the key to establishing a large-scale manufacturing presence for clothing and apparel in Detroit, Aronsson said. Aronsson, Guarino and others in the fashion and apparel business contend the $2.5 trillion global industry is ripe for disruption as robotic assembly technology advances and customers have become more socially conscious about where their garments and accessories are made. “The fashion industry is running out of people and places to exploit,” said Guarino, whose Detroit-based employer, Shinola, has grown into an internationally recognized brand for its made-in-Detroit watches, handbags and other luxury goods. Part of the argument the ISAIC group and Aronsson are making for Detroit to be a new U.S. hub for manufacturing centers on the waste and inefficiency built into a system that relies heavily on cheap labor in Third World countries to produce most of the clothes Americans wear. Globally, the fashion and textile industry overproduces 15 billion more garments annually and the excess clothing ends up in landfills, Guarino said. That’s partly driven by “fast fashion” brands like H&M and Zara that depend on producing fashionable clothing in huge quantities cheaply to capitalize on trends quickly. The ISAIC facility will serve as a training center for textile workers to learn both traditional sewing skills as well as how to operate robotic machines, Guarino said. Reese said the push for Detroit to be a new hub for design and production of luxury clothing is not an altruistic cause.